The bag features an image from Henry E. Roscoe’s Spectrum analysis: six lectures delivered in 1868 before the Society of Apothecaries of London . These colorful line diagrams reveal the chemical compositions of metals. When a pure metal is burned and viewed through a spectroscope, each element gives off unique spectra, a sort of color fingerprint. This method, called spectral analysis, led to the discovery of new elements, and marked the first steps towards quantum theory. 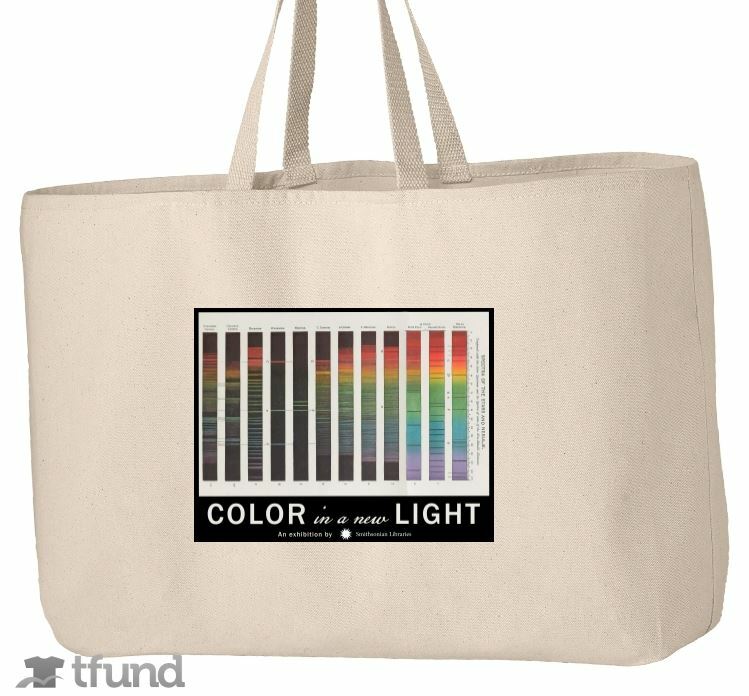 All proceeds from the sale of this great bag benefit Smithsonian Libraries programming. But hurry! Totes are only available for a limited time and sales will close on October 3rd. Interested in learning more about the science of color? Visit the Color in a New Light webpage or view the exhibition in the National Museum of Natural History, now until March 2017.